Somewhere along the way towards being tr00er, grimmer, and darker, metal lost its sense of joy. 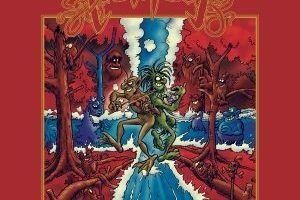 Sure, there are a number of bands in the folk metal genre that convey a feeling of carefree and “happy”, but few can match Trollfest in their overall wackiness and fun factor. These trolls have been serious about not being serious for over a decade now, and for their sixth album, have truly decided to up the ante across the board. It’s strange to use the word “maturity” when discussing a Trollfest album, but Kaptein Kaos is a significant expansion to the band’s sound. The “nonmetal” instruments are given a bit more freedom and breathing room, clean vocals are used throughout the album, and there is a notable jump in the folk category to be more “worldly” and includes influences outside of the Scandinavian region such as Asian folk and tango. The theme for this album, a village inventor (Kaos) creating a time machine and taking a trip through history with various exploits, is the seeming vehicle for a number of these changes. 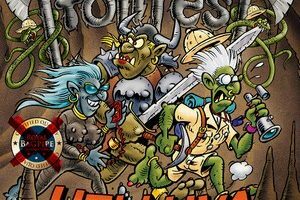 The added emphasis on diversity plays to Trollfest’s benefit, evolving their sound without leaving behind the playfulness that has become their benchmark. It’s hard to choose favorites from such a diverse array of tracks. “Solskinnsmedisin” jumps out at first listen with its Caribbean flavor and downright catchy vibe (especially the repeated cabana party line at the end). There’s the completely clean sung “Sagn Om Stein,” which alternates between spoken word and a big catchy chorus that feels like a change-up from the usual Trollfest vibe. The instrumental “Seduction Suite No. 21” also changes thing up and features some classical guitar with the accordion nicely woven in. Lastly, “Kinesisk Alkymi” effectively blends Trollfest’s sound with some Asian influences, making it a definite treat. For those afraid the band has gone too far, check out the more “traditional” numbers such as the super catchy “Die Grosse Echsenm,”“Renkespill,” and “Vulkan” and you’ll see that Trollfest has not abandoned their core audience. Without a doubt, Kaptein Kaos will be the most fun metal album you’ll hear this year. 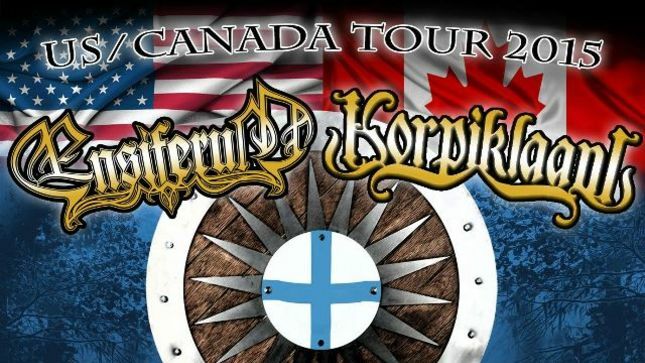 Coupled with the expansive and fully integrated changes to the Trollfest sound, they’ve once again proven they are more than a mere one-trick pony and one of the leaders of the folk metal scene. Grab a beer and enjoy!